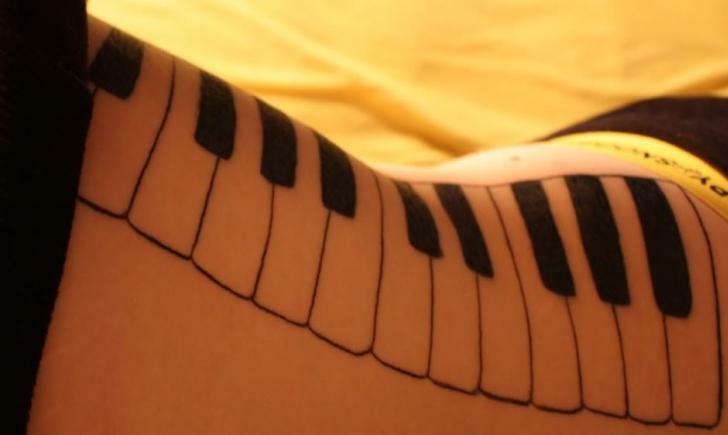 Rib tattoos for girls is a hot trend, and it’s one that will hopefully last! The female form is beautiful in its many shapes, sizes, and types. The ribs are strategically in the breast area and just above the hips, another very sensual part of the female form and ideal place for tattoos. 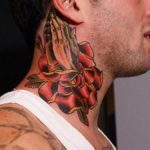 It is a fairly large area for a good sized tattoo, which also allows for lots of detail and artistic expression. The styles for the rib area vary, as such an ideal spot can fit many different themes and concepts. The rib is also a good spot to build upon; a tattoo can develop upward into the chest and shoulder area as well as downward into the hip and leg area. Because the ribs are usually covered up, it’s a good spot for anyone, whether their job allows for visible tattoos or not. Because it is an area that is mostly bone, it can be painful to get inked here. 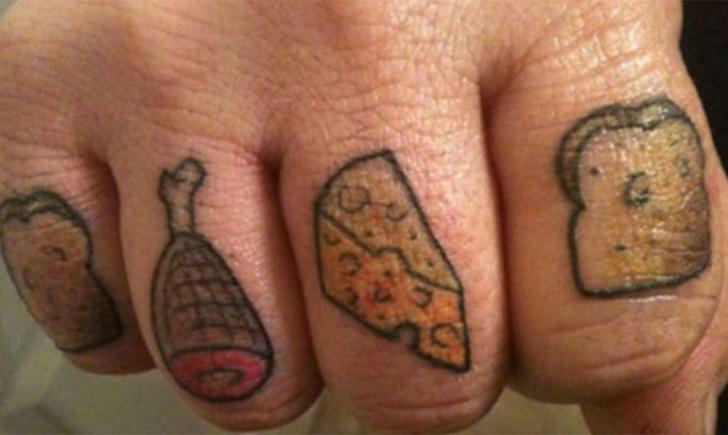 If this is your fist tattoo, the ribs might not be a good choice for it. If you have gotten a tattoo already and want another, the rib might be exactly what you are looking for. Cute and little traditional sparrow tattoo on the side of the ribs just under the armpit. 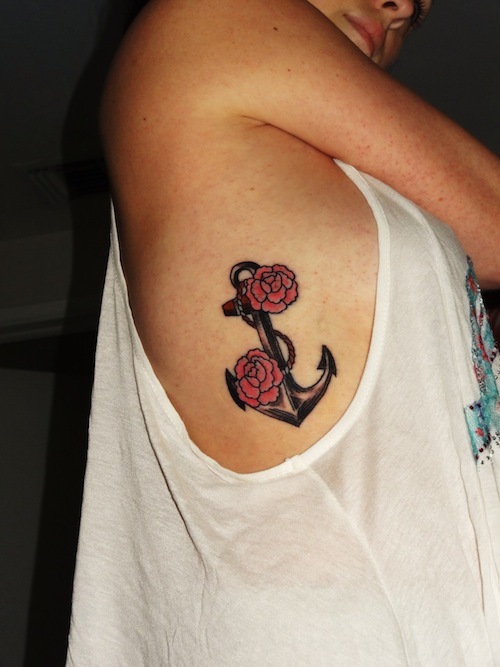 Nautical themed anchor and flower tattoo for this rib tattoo wearer. Here’s an elaborate and large key tattoo that takes up the rib area and a large part underneath on the side of the torso. 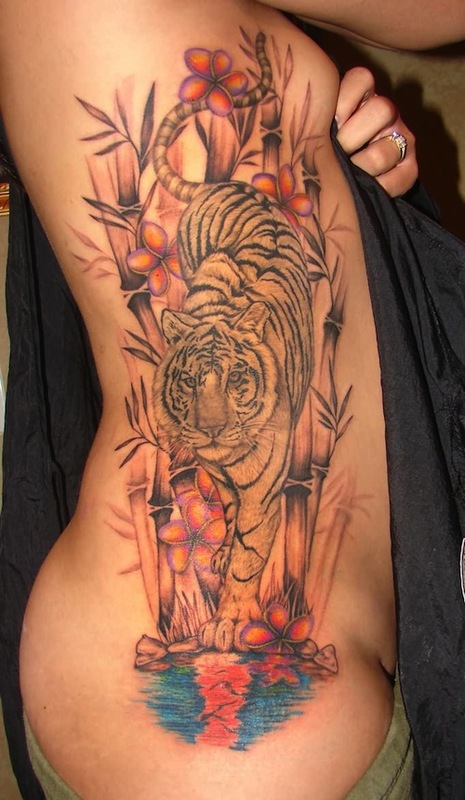 Here’s a large tiger tattoo that takes up the whole side of the wearer, including the ribs. This one goes well into the hip area closer to the leg and thigh area. 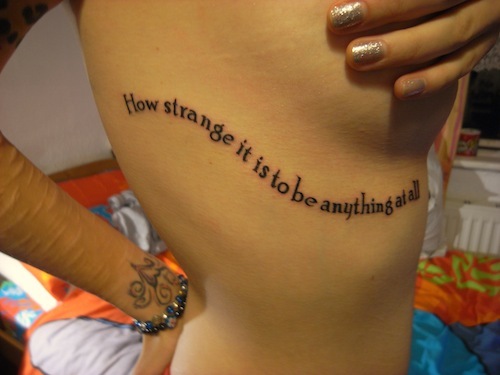 Here’s a wonderful quote tattoo that curves underneath the breast. What a stunning surrealist portrait on this woman’s rib. 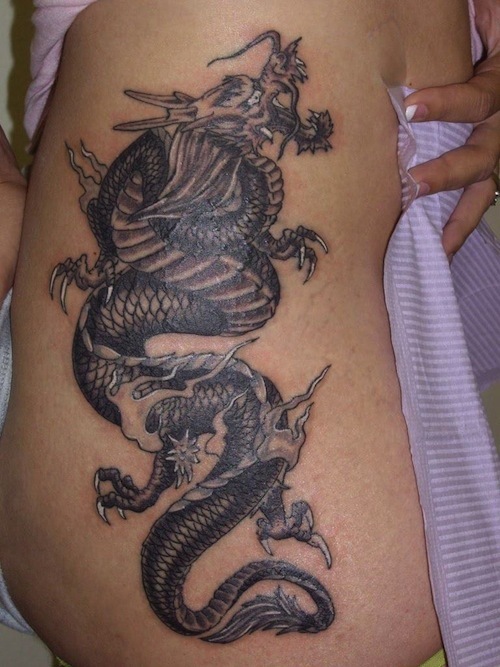 Here’s a Japanese styled large black and gray dragon that goes into the wearer’s hip. Colorful hibiscus flowers curve from the hip area into the ribs on this beautiful tattoo wearer. 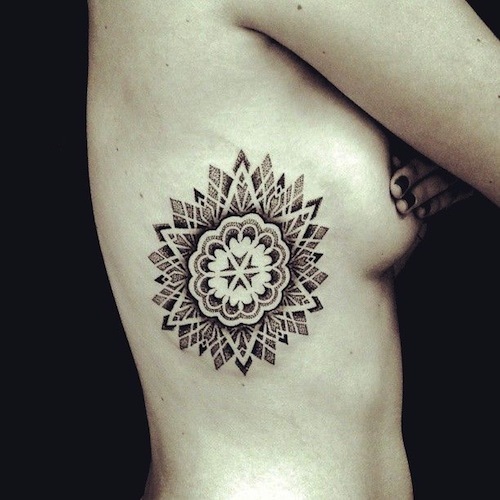 Here’s a dot style mandala onto this lovely woman’s ribs. 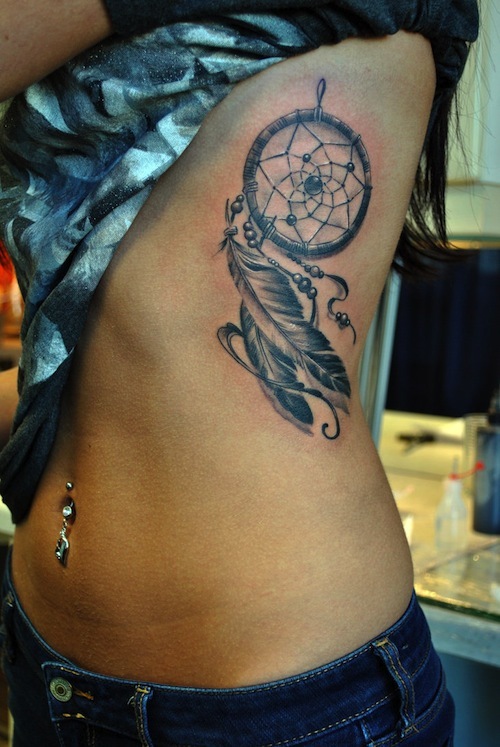 Dreamcatchers are an amazing choice for the rib area. 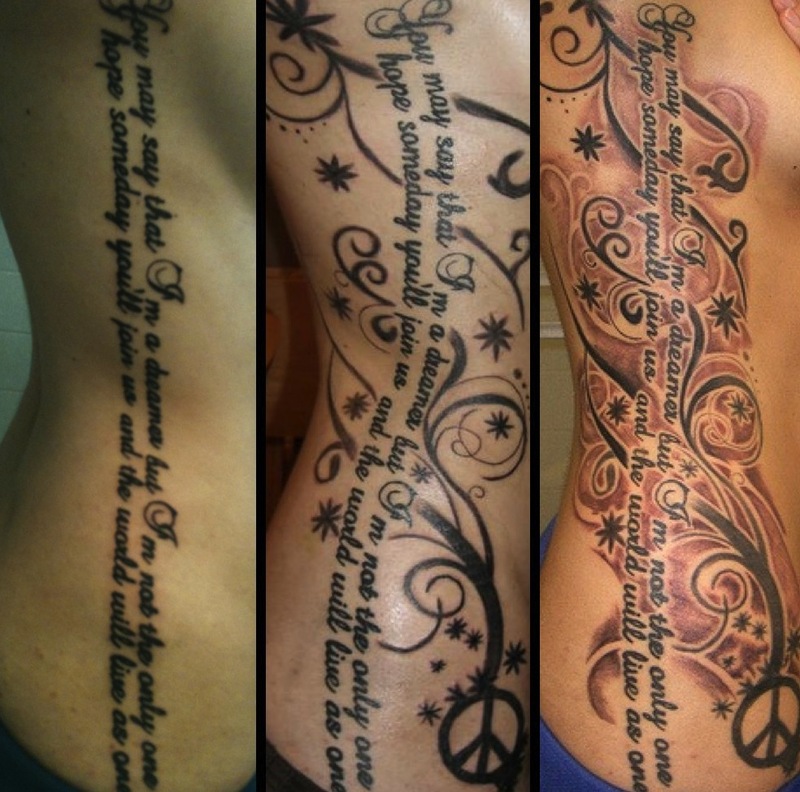 Here’s the development of a large rib/side tattoo that started with just text, then some swirls, and then some shading.